From the moment it starts, from the very first moment that the famous Metro-Goldwyn-Mayer logo appears, trademark lion roar and all, I am immediately taken back to the year 2006 and a time when my life completely changed forever. I know what comes next, that familiar lion morphs into an animated vampire--fully equipped with ghastly fangs, and a wonderful score by composer Krystof Komeda starts to play. 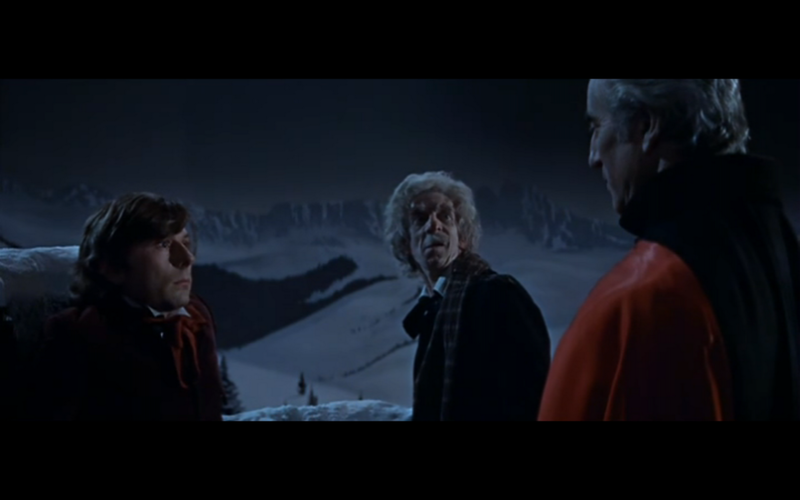 With that, Roman Polanski's 1967 horror/comedy mixture, The Fearless Vampire Killers, begins. It's a film that has a very special meaning to me, as it goes hand-in-hand with my own filmmaking journey and led me to making a vampire film myself, one highly influenced by Vampire Killers, and one that would not exist if I had not discovered this little gem at the time I did. It's really quite amazing how different my life might be if I hadn't stumbled upon Vampire Killers when I did. It's definitely not an understatement to say that my film, Feast of the Vampires, might not exist if I hadn't watched Polanski's work back in 2006. I was 18 at the time, and the introduction to Polanski's work was a complete breakthrough for me. It introduced me to a new world of cinema and helped to pave the way for my own work in ways that previous material never had. It made me want to become a respectable filmmaker-- a goal that I still have a lot of work to do on. 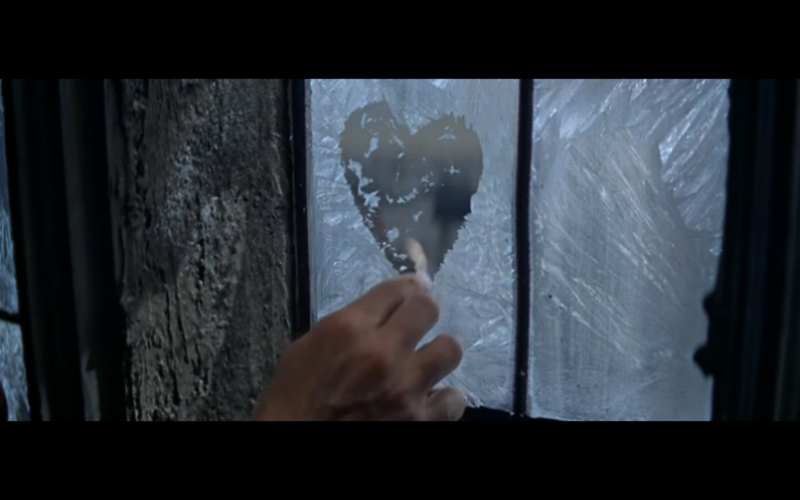 The most notable thing about this movie is the on screen time shared by Roman Polanski and Sharon Tate. 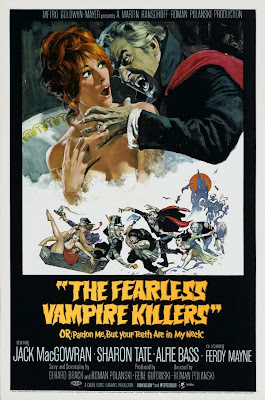 It was on the set of Vampire Killers that the two fell in love and began their relationship, which lead to marriage and pregnancy, but was cut short by heartbreak and tragedy. 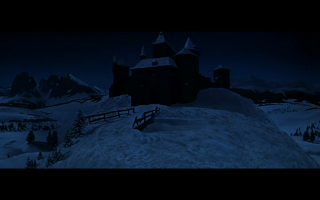 It is with this reason that watching Dance of the Vampires (its European title) can be a very sad experience. There is a certain added element about the real life tragedy of Polanski and Tate that is unmistakable if you go in knowing what happened in real life. 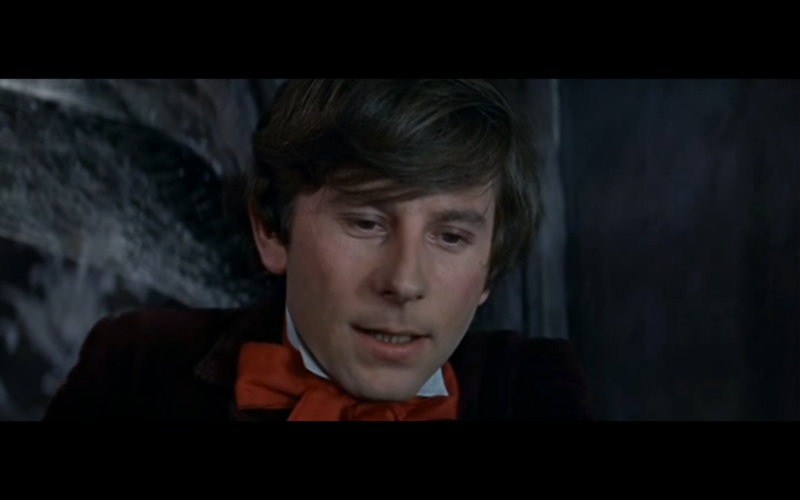 In the film, Polanski plays a young vampire hunter, Alfred, who quickly falls in love with Sarah (Sharon Tate) and after she's bitten by the devilish vampire, Count von Krolock (played marvelously by Ferdy Mayne), it is up to Alfred and his professor friend (Jack MacGowran) to rescue her. 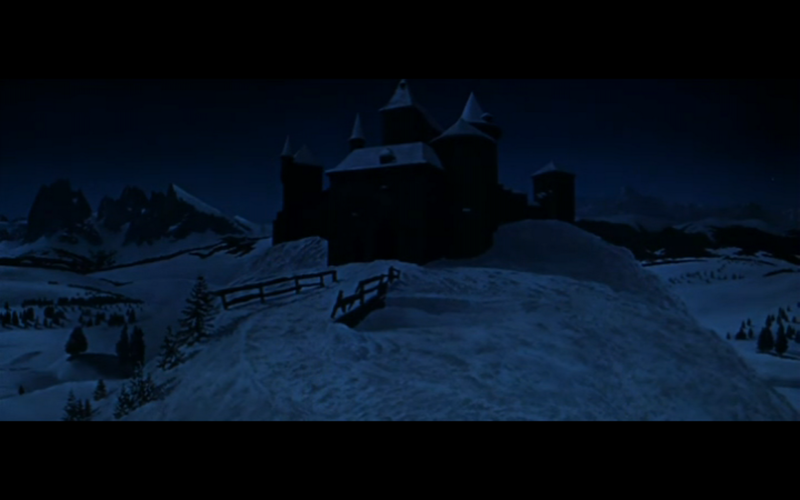 It's a truly beautiful film, full of snow and wonderful cinematography, and all of these elements come together to create a wonderful dream world. It is in this world that the on screen love story of Tate and Polanski becomes so much more than could have ever been intended while the film was shot. Here, the two of them will always be young and alive, always together, and always much safer, even in the clutches of vampires, than they ever could have been in the real world. There is an added bit of magic to the film with the two of them together, and that bit of magic is made that much more enjoyable by the top-notch cinematography, set design, and directing. Even as a horror film, Vampire Killers is a world that is actually very innocent. This film is somewhat of a security blanket for me, a piece of work that easily whisks me away from my real world troubles and places me firmly in an amusing adventure. Jack MacGowran's performance as the bumbling Professor Abronsius is a truly underrated bit of acting that I think deserves much more praise than it gets. Some of his gestures and deliveries are so subtle yet perfectly played that I always find myself discovering new little moments upon each viewing. 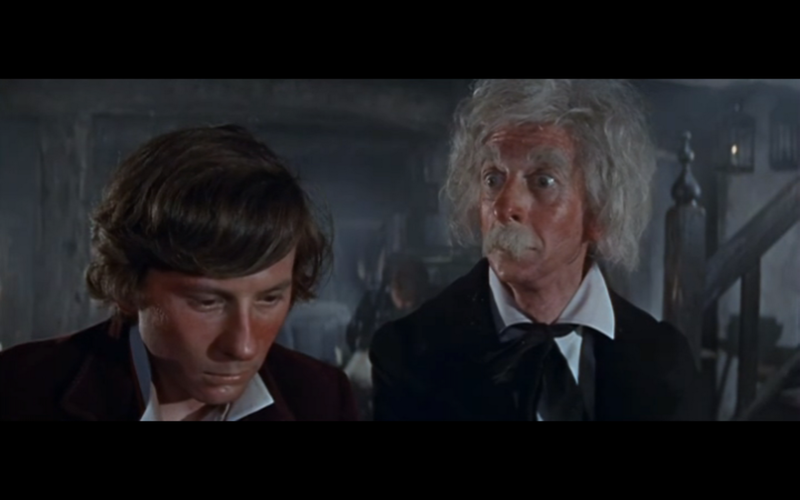 I love a half-cocked professor character, and to me, Professor Abronsius is tied with Doc Brown from Back to the Future. Vampire Killers has all of the things I love in a film like this. A hilarious professor, his loyal sidekick, a beautiful girl in distress, and amazing set pieces for the villain and his flock. 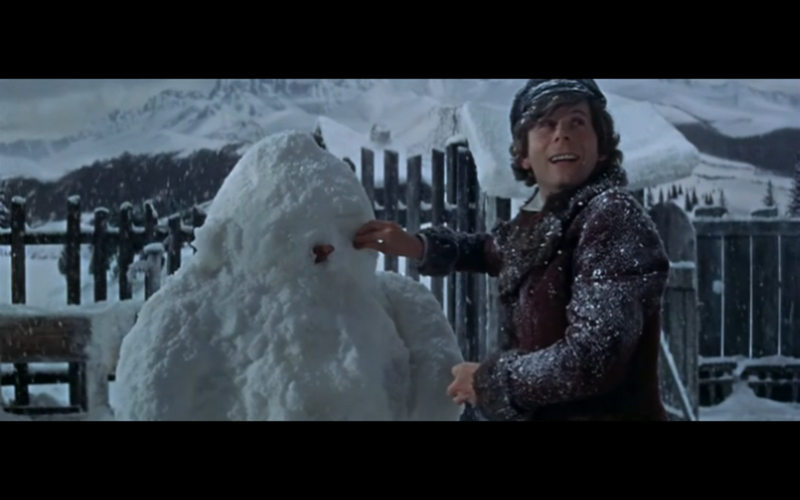 FVK has some good slap-stick moments for fans of that type of humor, and some funny one-liner encounters such as a Jewish vampire laughing off a cross in his face with, "Oy vey, have you got the wrong vampire." Ferdy Mayne is quite enjoyable as Count von Krolock and perhaps upstages all of the actors with his performance. Mayne really delivers the horror to go along with the more comedic moments of the film. The writing for his part, along with his delivery, really helps to balance out the comedy and make this a perfect comedy/horror. I'm not sure exactly how my own career (if you can call it a career!) would have differed without the influence of Vampire Killers, but I'm glad for the path it set me on. If anyone out there keeps up with my appreciation writings then I'm sure they've noticed my strong ties to nostalgia and the work I mention. This definitely holds true with The Fearless Vampire Killers, and I'm glad to say that I'll have this film with me for the long evenings of many winter viewings to come.